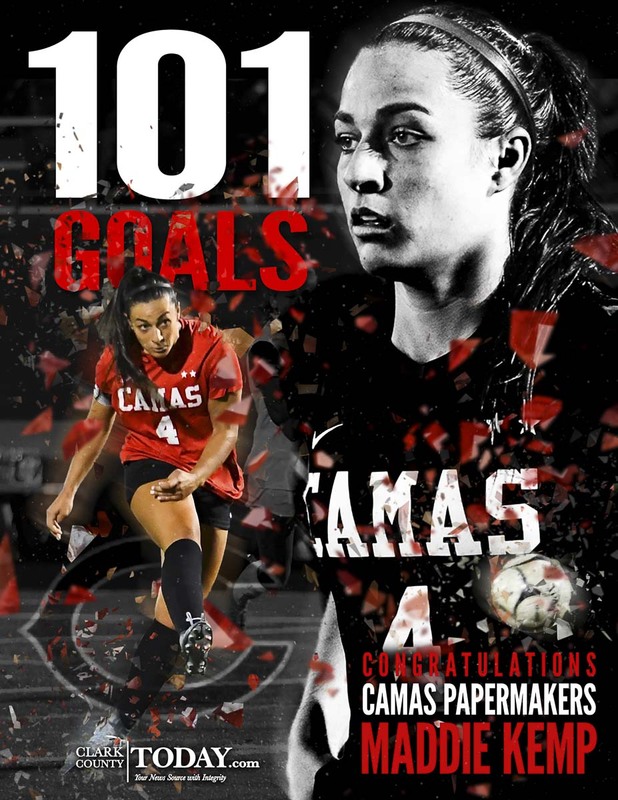 The below story was posted last week as Maddie Kemp was approaching 100 goals for her Camas High School soccer career. Tuesday night, she surpassed the century mark, scoring six goals in a win over Prairie. The senior who expects to sign with Gonzaga University now has 101 goals for the Papermakers. Maddie Kemp, the greatest goal scorer in Camas High School history, talks about her past, present and future.